Shannon Cutts – Love + Feathers + Shells + Writing + Recovery + Life. Pearl is the one with the feathers. Malti and Bruce have shells. I have neither….but thankfully they still let me join their cool little club. 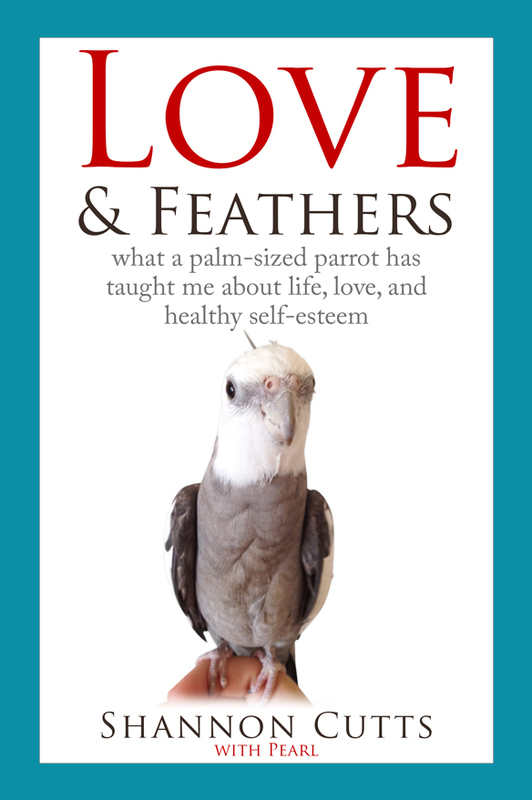 Speaking of feathers, Pearl is the proud co-author of two crispy, crunchy BOOKS – he highly recommends ordering both “beak-o-graphed” – the more copies the better!